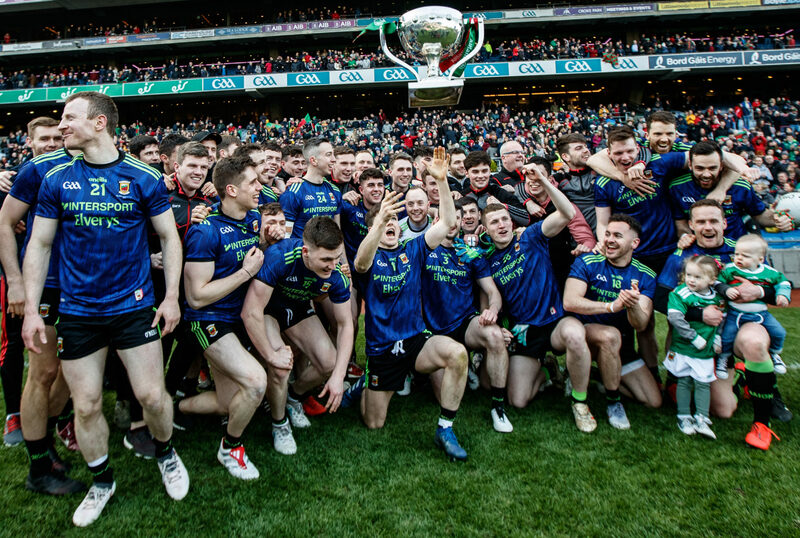 Guiding Mayo to a National Football League title in Croke Park this afternoon, James Horan has singled out Aidan O'Shea for praise for his performances throughout the run to this welcome success. "There's nothing like a National title to validate what you're doing," stated Horan in conversation with Oisin Langan for Off the Ball. "We made buckets of mistakes out there, we kicked away and awful lot of possession and some of our kicking was erratic. "Just the sheer will [though], and sticking to what we're good at and keeping at it got us there today, and we're obviously delighted." Asserting that Mayo should have won the match by a greater margin than the final scoreline of 3-11 to 2-10, Horan singled out Aidan O'Shea's influence on the day. "Aidan O'Shea is playing great football," stated Horan, "and getting better and better." Drawing attention toward O'Shea's midfield partnership with Matthew Ruane, Horan credited their resilience in occasionally tough circumstances. "They were up against it in the first-half," Horan admitted. "I thought in the second-half, when needed, they came very, very strong. "Matty is very mobile and has a habit ghosting in for scores." On a landmark day for Mayo, James Horan already has one eye on the Connacht championship and a date with New York. Watch back Horan's full post-match comments below. "There's nothing like a National title to validate what you're doing..."